The sad truth about life here in Haiti is that tiny caskets are not that uncommon. I’ve even heard a few people say that they would not name their newborn child for several months just in case it did not survive. Heidi and I read before we arrived in Haiti that one out of every twelve children will die before they reach the age of five (86.7 out of every 1,000 live births). The infant mortality rate is the number of deaths of infants under one year old per 1,000 live births, and is often used as an indicator of the level of health in a country. The IMR for Haiti is 69.86. Compare that with the USA’s IMR of 7.07. That is too many tiny caskets! The sight of that tiny casket then caused me to reflect on why I am here in Haiti ministering to what Matthew 25 calls “the least of these.” One of our key verses is Psalm 82: 3 – 4 in which God instructs, “Defend the weak and the fatherless; uphold the cause of the poor and the oppressed. Rescue the weak and the needy; deliver them from the hand of the wicked.” Many of you reading this listened to our missionary presentation in which we said that God has called us to Haiti to be the hands and feet of Jesus and to do all that we can with what He has given us. Team projects – new guesthouse/ministry center construction, numerous medical clinics across the island, a water distribution building, hundreds of latrines provided, two homes built for needy families, compound roofs sealed, mission employee homes remodeled, ministry to orphans, English classes taught, countless surgeries in the Wesleyan Hospital, boat repairs, mechanic work, depots organized, many painting projects, and the list could go on and on! 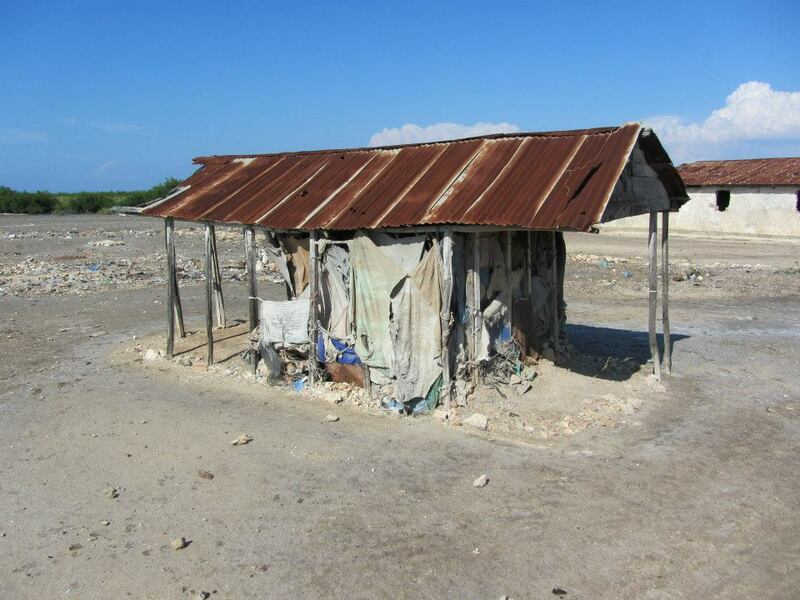 Teams have also given thousands of dollars for various projects on the compound, in the community around the compound, and across the island of La Gonave. People in small villages across this island have been touched by your generosity in the Name of Jesus! An old Christian song says, “Thank you for giving to the Lord. I was a life that was changed.” Whether it was a new home for “The Seashell Lady” and her four children or antibiotics given to a sick child in Fontina, lives have been changed in 2011 and you are the reason. Thank you!! I believe the Lord allowed me to see that He has Heidi and me in Haiti for this time to serve as facilitators for the ministry and work that is being done in His name on the island of La Gonave! Do I sometimes go to the guesthouse at 9pm to plunge a clogged toilet? Yes, but it was for a medical mission team that was gone for twelve hours for the third or fourth straight day doing medical clinics in remote villages on the island. Does Heidi sometimes stay up until midnight answering e-mail questions from team leaders? Yes, but they may be a surgical team that will perform life-saving operations in the OR at the Wesleyan Hospital or a team coming to Rebuild a church destroyed in the 2010 earthquake. Do I sometimes spend way too much time traveling back and forth to Port-au-Prince for supplies? Yes, but those supplies are being used to build the new hospital that is the only hospital to over 100,000 people living here on La Gonave. Do I sometimes get weary of purchasing truck parts to keep our two dilapidated vehicles running on the rough and dirty roads? Yes, but those vehicles have carried many teams up rocky, mountain roads to provide health care, medicine, and community health training all over this island. Do we sometimes get tired of overseeing the construction of the new guesthouse? Yes, but I hope you realize by now that it is not simply a guesthouse but a ministry center from which God is working across the entire island of La Gonave to transform the lives of the Haitian people both physically and spiritually. One of our fellow missionaries is overseeing a community health evangelism program that is going into villages across the island and teaching them healthier standards of living such as water purification to prevent a large percentage of diseases, the necessity of latrines in fighting disease, and using Moringa trees to fight malnutrition. They are also presenting the Gospel on a regular basis and have seen over 500 salvations in recent months. I will try to highlight this incredible ministry next month in our newsletter. God is working through the Wesleyan Hospital, the GP missionaries here on the ground, and through the wonderful teams that He brings to us! Whether a new home (pictured here) for “The Seashell Lady” and her children who were living under a tarp, or a surgery on a little boy to remove a grapefruit size growth in his sinus cavity that protruded from his face, or the “beggar lady” living in a house made of rags in Trou Louis Jeune that went several weeks without treatment for a broken leg because nobody was taking care of her. These are just a few of the countless lives that have been touched over the last few months, and God has blessed Heidi and me to be here in Haiti to be a part of what He is doing. All of us working together might just lower those mortality rates so we see fewer tiny caskets! 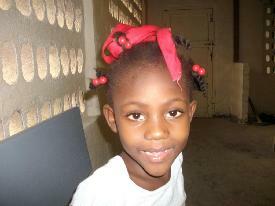 Thank YOU for giving financially to support our ministry in Haiti. We cannot be here without your financial gifts, but we would not be here without the prayer support that goes up from each of you on a regular basis and our faithful God who has promised to never leave us or forsake us! God is calling each of us to obedience, and His challenge is still before all of us to PRAY, GIVE, and GO! What is he calling you to do? Will you obey? « A Sunday Crash in the Mountains and A Lot of Coincidences!